A delicious steaming bowl of wonton soup is just minutes away with these tender and delicious wontons! 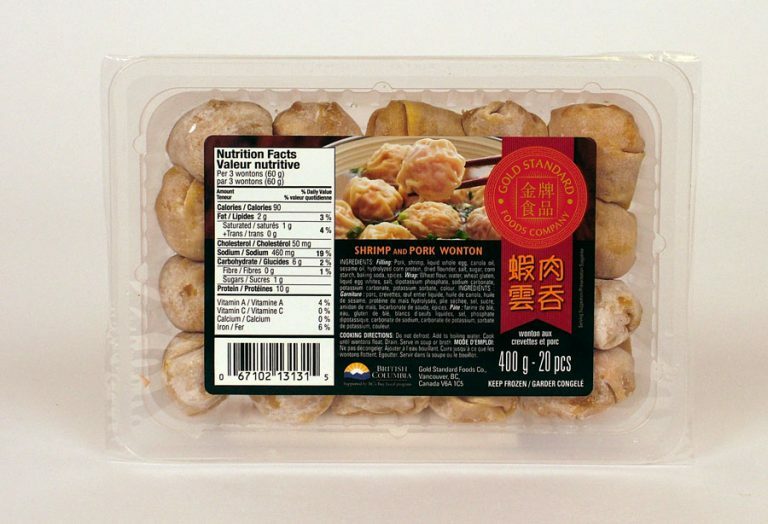 Simply boil these authentic dumplings and serve in your favourite soup or broth. FILLING: Pork, shrimp, liquid whole egg, canola oil, sesame oil, hydrolyzed corn protein, dried flounder, salt, sugar, corn starch, baking soda, spices. WRAP: Wheat flour, water, wheat gluten, liquid egg whites, salt, dipotassium phosphate, sodium carbonate, potassium carbonate, potassium sorbate, colour.